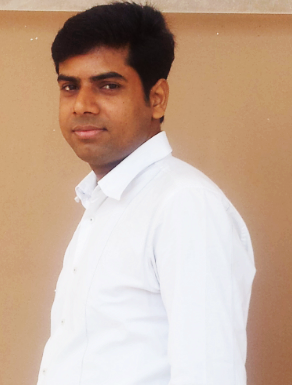 Prof. Amit Mookerjee is working as Professor in Marketing area at Indian Institute of Management Lucknow, Noida campus. In the last eight years tenure at IIM Lucknow, he has held the BPCL Chair Professorship (a research chair in the area of CRM, at IIM-L). He also chaired the PGPM (Exec MBA) for Working Executives (WMP) in its initial years. In 2011-12, he headed Analytics and Research at the Center for Macro Consumer Research (initially funded by McKinsey, Maruti, ICICI etc.) at the National Council for Applied Economic Research (NCAER) and later headed the Center. He was project director of the half a million household study "Living in India: National Survey of Household Income and Expenditure- 2011". Prior to this he worked at MDI, Gurgaon, between 1996 to 2005. Alternating with academic stints, he has also worked for short stints in the corporate sector, in roles such as the Group Head of Research and Planning at NCLS Ltd., a loyalty services firm, and at the Times of India Group. He has guided several PhD scholars, co-authored over twenty papers, (some in international journals), and has also chaired sessions in conferences in the CRM and Consumer demographics area. He has done PhD in Management (1994) as Junior Research Fellow, from the M.L. Sukhadia University, Udaipur. 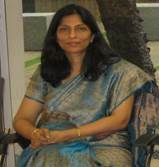 Prof. Anita Goyal is working as Associate Professor (Marketing) at Indian Institute of Management (IIM), Lucknow, India. She has 19 years of experience in academics. She has an MBA in Marketing Management from University of Poona, India and a Ph.D. in Services Marketing and Consumer Behaviour from Jamia Millia Islamia, New Delhi, India. She has supervised a number of projects and dissertations at Undergraduate (BBA) and Postgraduate (MBA) levels with Thames Valley University, London. She has published research papers in journals of national and international repute. She has supervised seven Ph.D. scholars. She has guest edited an issue of ‘Vision’, journal of MDI, India and an issue of ‘Journal of Indian Business Review’ (JIBR), with Emerald. She has edited a book titled “Innovations in Services Marketing and Management: Strategies for Emerging Economies” with IGI Global, USA. Her teaching and research interest areas include Principles of Marketing, Services Marketing, Product and Brand Management, Consumer Behaviour, and Strategic Marketing. Ms Ashu Sabharwal is the Founder of Qualisys, with more than two decades of research experience, both as a user as well as a practitioner. Started her career in 1990 with the marketing services department at Godfrey Phillips India. In 1992, joined IMRB, (a WPP group company) and went on to head their specialist qualitative research unit, PQR in 1997. The Indian economy was opening up at that point in time with new categories like telecom, DTH, convenience foods entering the market; she has been a part of their journey in the country helping companies launch, develop and capture the markets through strategic initiatives. She has worked on a wide range of accounts - Reckitt & Colman, Pepsi, Dabur, Nestle, Motorola, Tata Docomo, Bharti Walmart, Frito Lay, DS Group, Perfetti, ITC Wills Lifestyle, UB biscuits, Parle, Mother Dairy, etc. She is trained in both quantitative and qualitative research methods. In 1997, she decided to work independently as that, she felt, allows one to do proper justice to qualitative research. And so was born Qualisys. Common-sense, a high degree of involvement, understanding the strategic imperatives involved and getting into the thick of things are her personal traits. Her unbridled passion towards her work can be infectious!! 3 of her clients went on to join Qualisys at various points in time, a rare phenomenon; Usually people move from the service industry to the client side. 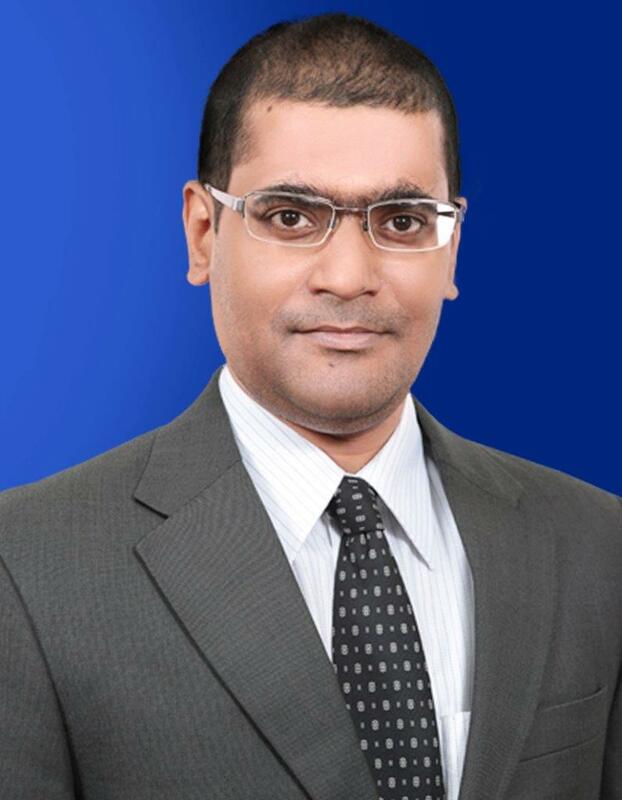 Prof.Chandan Sharma is Assistant Professor of Business Environmental at Indian Institute of Management, Lucknow, India. He teaches Macroeconomics, International Economics and Finance, Public Economics and Panel Data Econometrics. His research focuses on Industrial Economics, Infrastructure, Development Economics, Political Economy and Shadow Economy. He has worked extensively on firm-level productivity, R&D, Infrastructure and growth nexus, Optimum currency Area (OCA) and International reserves. He has recently completed a research and policy project on Unaccounted Income/Wealth both within and Outside India (Black Economy) sponsored by Ministry of Finance, Government of India. He is also a member of Expert Committee on developing Infrastructure Index for India constituted by CSO, Ministry of Statistics and Programe Implementations, Government of India. He received a Ph.D. from University of Delhi. His research papers published in Journal of Asian Economics, The International Trade Journal, Applied Economics Letters, International Review of Applied Economics, Journal of Policy Modeling and others international journals. He is recipient of Best young economist award (Prof MJ Manohar Rao Award) of the year 2013 by the Indian Econometric Society. Prof. Devashish Das Gupta is Associate Professor of Business Environmental at Indian Institute of Management, Lucknow, India. He has 20 years of industrial and academic experience in the field of Marketing and Retail. He has been working in the area of Marketing Innovations, Customer Value Proposition and Retail Strategies. He was earlier with an Indian MNC wherein he executed assignments in retail network development, product development and exclusive showroom network development. He has served as management consultant and corporate trainer to many MNCs in India. He is an avid teacher, trainer and researcher in the core domain of marketing. He has published in reputed journals and also authored few books His book “Tourism Marketing” published by Pearson is a first book in its genre and has garnered favourable reviews from world renowned authors on marketing like the legendary Philip Kotler. Prof Devashish is known for his practical orientation and hands on approach in his training. He believes marketing to be a function of innovation, innovision and service/value interventions. Prof. Dr. Githa Heggde, Senior Associate Dean and Head, Marketing, at Welingkar Institute of Management, Bangalore, India, She is also the Country Director, India, EMBRI (EuroMed Business Research Institute). She is in the board of reviewers for International Journal of Emerging Markets, Emerald. She has 24 years of teaching, consultancy and industrial experience. She has presented papers at international conferences including the ones conducted by Academy on International Business at Boston, EuroMed Research Institute at Marseille, France, University of Wollongong, Dubai, EMBRI, Italy and several national conferences in the areas of Marketing, Sales and Distribution. Her research papers have been awarded at the Association of Indian Management Schools (AIMS), conventions. She has published several articles on Marketing, supply chain, sales and Distribution in international and national journals.She was part of the team at “Global colloquium on participant centered learning” at Harvard Business School, Boston. She has been invited by Universities abroad including Pace University, New York, for lectures and discussions on pursuing collaborative research. She is heading the research collaborations with Pepperdine University, Malibu. She was an adjunct faculty with University of Toledo, Ohio. She is a guest faculty at Management Institutes in India and abroad. She has conducted several training programs for senior marketing and sales executives. The companies include Airtel, ITC, L&T, Infosys, Murugappa group, Dell, Pricol, HDFC, EY, Biocon. She has been engaging in consultancy and research for companies. Few of them are Logitech, USA, Iwatt, USA, MLB, USA, Modalminds USA, Reliance India, Adaptive marketing in Brand development and Marketing. Conducted sessions on Marketing Management for Robert Bosch Executives. She has been invited by CII and FICCI to address various programs organized by them. 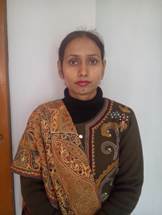 Dr. Gurjeet kaur, Associate Professor, Department of Commerce, University of Jammu. She have about 15 years of teaching and research experience. She has completed Faculty Development Programme from Indian Institute of Management, Ahmedabad- Gujarat, INDIA. She is teaching Marketing Management, Marketing Research and Services Marketing to Post-Graduate students. She has supervised 6 Ph. D. and 18 M.Phil. scholars and currently, 9 Ph.D. and 2 M.Phil. scholars are pursuing their research work under his supervision. She has about 12 publications in Foreign journals and 13 in Indian journals of International Repute. Foreign Journals include Journal of Services Marketing, Journal of Strategic Marketing, Managing Service Quality, Asia Pacific Journal of Marketing and Logistics, International Journal of Bank Marketing, Journal of Global Marketing, Marketing Intelligence and Planning etc. Indian journals of International Repute include Vikalpa, Metamorphosis, Prajnan, etc. She has received Highly Commended Paper Award from Marketing Intelligence and Planning, EMERALD for the year 2010. She has also awarded with Best Paper Award for presenting a paper entitled, “Employees’ Perceptions of Total Quality Services in the Banking Sector,” at International Conference on Marketing in Emerging Economies: An Agenda for the Next Decade, December 15-16, 2012 organized by Punjab Technical University and University of North Carolina, USA at Amritsar. Dr. James Agarwal is Full Professor of Marketing and CCAL Research Fellow at the Haskayne School of Business, University of Calgary in Canada. He received his PhD in Marketing (Minor in Statistics) from Georgia Institute of Technology (Georgia Tech) in Atlanta, Georgia, USA. 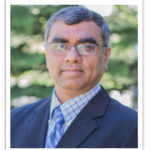 He served as Area Chair of Marketing at the Haskayne School of Business from 2002-2005 and is currently the Research Director of the Marketing & Entrepreneurship Area from 2013. He is listed in Canadian Who’s Who, University of Toronto Press, and in Marquis Who’s Who in America. James enjoys teaching with passion and teaches at all three levels: Undergraduate, MBA, and PhD. He has taught Undergraduate and MBA courses in International Marketing, Consumer Behavior, Marketing Research, Research Methodology, and Strategic Marketing and PhD courses in Multivariate Statistical Analysis and Marketing Theory. James’s research interests are in the following broad areas: (a) International & Global Marketing, (b) Marketing Ethics, and (c) Marketing Research & Statistical Methods. Research in International and Global Marketing forms a primary part of his research program and focusing on topics including country of origin effects, trading blocs, internationalization process of firms, international services marketing, cross-national versus cross-cultural market segmentation, cross-cultural methodological issues, country risk analysis, and global cultural convergence. He has published over thirty papers in major refereed journals & proceedings and presented in over fifty national and international conferences in about twenty countries. He has received several best paper awards (co-authored with Naresh K. Malhotra) from the American Marketing Association and the Academy of Marketing Science and was recently listed as one of the Most Prolific Scholar in International Business (IB) Research, a study conducted by Cavusgil, Griffith, and Xu based on research productivity in the top IB journals for the period 1996-2005. Dr. Kavita Sharma is Associate Professor at Department of Commerce, Delhi School of Economics, University of Delhi and has her specialization in the area of Marketing. She has teaching and research experience of more than twenty five years. She is involved with the teaching of courses on Consumer Behavior, Advertising, Services Marketing, Customer Relationship Management and Quantitative Techniques. 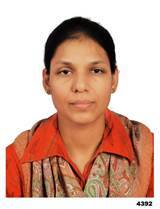 She has presented papers in national and International Conference and four of her research papers have been adjudged in the category of Best Research Paper in International Conferences held in India and abroad. She has contributed about two dozen research papers in peer reviewed journals published in India and abroad and authored two books. She is the research supervisor for twelve Ph.D. and six M.Phil. scholars. Four Ph.D. and two M.Phil degrees have been awarded under her supervision. Mr. Mohan Krishnan has over twenty-two years of experience in the research and consulting industry. His experience spans diverse sectors in the area of technology and marketing issues. He has advised private and public sector companies, associations, and forums in sectors such as Consumer goods, ICT, Energy, Environment, Logistics, Steel, Automotive and financial services markets. 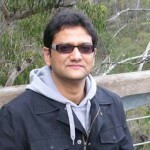 Mohan has contributed several articles and research papers on a wide range of subjects. He is also a regular speaker and a visiting faculty at IIT Bombay, TERI University and IIFT Delhi & Kolkata. He started his career as an engineer in sustainable development sector at Development Alternatives, worked in consumer research area at IMRB International where he later specialized in technology research before moving to head a sister company, Henley Centre, a marketing consulting. He returned to IMRB to head BIRD, a B2B and Technology Consulting unit at Mumbai before moving to Delhi to head Consumer quantitative and Social and Rural research practices. He also headed the, Corporate Communication, CSR and quality improvement function both as an employee and as consultant before starting an NGO in education sector in 2014. He’s also in the board of three start-ups: The Peninsula Studios, Peninsula Beverages & Foods, The Peninsula Centre – a think tank in using Geo-located information. In addition, he’s a founder director at Centre for Marketing in Emerging Economies, IIM Lucknow. He has done his MBA from Faculty of Management Studies, 1992, Delhi University &B.Tech from Indian Institute of Technology, 1989, New Delhi. Dr. Moutusy Maity is currently an Associate Professor in the Marketing Management Department, at the Indian Institute of Management Lucknow (IIM-L). Prior to joining IIM-L, Moutusy was an Assistant Professor at the Indian Institute of Management-Bangalore (IIM-B), and at the University of Wisconsin, Whitewater, WI, USA. Her research interests are in the areas of consumer interaction with technology (e.g., Internet/e-commerce, mobile/m-commerce, social media, social media analytics, digital marketing), customer relationship management, and technology adoption at the bottom of the pyramid (BOP). She has consulted on several projects with LIRNEasia, an international NGO (non-government organization), funded by the International Development Research Centre, Canada, for investigating the adoption of mobile phones among users at the BOP (across several South-East Asian countries). Her research has appeared or is forthcoming in leading refereed journals including Journal of Retailing, Decision Support Systems, Journal of Business Ethics, International Journal of Technology Management and Sustainable Development, and Journal of Marketing Channels, among others. Her papers have won best paper awards at the Association of Marketing Theory and Practice Conference, Panama City, FL (2011) and at the Marketing Management Association Conference, Chicago, IL (2010).Moutusy has also worked with The Nielsen Company (in syndicated research and customized research divisions), handling clients including Pepsi Co., Frito Lay, and Eveready Batteries. She holds a Masters degree in business administration (M.B.A.) from the University of Calcutta, INDIA, and a doctoral degree in business administration (Ph.D.) from the University of Georgia, Athens, GA, USA. Mr. Mrutyunjay Mishra is a recognized expert and a leading commentator on online consumer behavior and consumer analytics in India. He co-founded Juxt in 2006 with an objective to bring a fresh approach to market research, making it more meaningful while enhancing transparency. He is also an executive director in analytics firm Smart Mandate. He oversees key account management, new product development, alliances, and go-to-market initiatives for their businesses that are aiding in "data driven decision making". In a career spanning more than 15 years, Mrutyunjay has worked in a number of leading companies such as IMRB International, IDC India, Convergys India Services, Annik Systems (Quatrro) and a Rural Development NGO (ASHA).At various points in his career, he has led consumer research, strategic business research, quality studies, usability studies and change management projects. He has considerable exposure to projects in varied industries - ICT, Media, BFSI, FMCG, Pharma, Consultancy Services, Government and Public Administration. He also has functional consulting experience in implementing dashboards and reporting solutions in ERP environment. Mrutyunjay is a founding member in the Executive Board at the Center for Marketing in Emerging Economies at IIM, Lucknow. 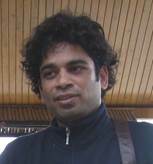 Omkumar Krishnan is Associate Professor Marketing at IIM Kozhikode. A PhD & MPhil from IIT, Bombay, he specializes in the area of qualitative and quantitative marketing research and has earlier worked with Drishti Strategic Research Services and Lowe Lintas, Bombay. Prior to joining IIMK he was Associate Professor at IMT Ghaziabad and was Conference Co-Chair for the two International Conferences on Brand Management organized at IMT Ghaziabad. Omkumar is also Visiting Faculty of Marketing Research at Chonnam National University, Gwangju, South Korea (2010). He teaches courses on Marketing Research, Marketing Management, Consumer Behaviour, Relationship Marketing and Marketing of Services. He was Program Coordinator for Academic Leadership Programs conducted for Government Engineering Colleges in India. His current research interest areas are destination branding and last mile coverage of brands. Dr. Rajesh K Aithal is working as Associate Professor in the Marketing Area at Indian Institute of Management Lucknow from last 8 years. He has also worked with Philips India handling the sales and distribution of Philips Tapes and Accessories for the states of Karnataka and Andhra Pradesh for close to two years and with Gillette in Bangalore for a year. He has done MBA from Gulbarga University, Karnataka and Fellow program from IRMA. His teaching Interests is Basic Marketing Management, Sales & Distribution and Rural Marketing. He has publications in many national and international journals of repute. Prof Sanjay Kumar Singh is Professor of Economics at the Indian Institute of Management Lucknow. Presently, he is Chairman of the Post Graduate Programmes at IIM Lucknow. He has also served as Chairman of the Research Strategy and Policy, International Accreditation, and Financial Aid and International Linkages at IIM Lucknow. He holds a Ph.D. degree in Development Studies from Indira Gandhi Institute of Development Research Mumbai. He is recipient of the NASI-Scopus young scientist award in the area of social sciences for the year 2014. He is also the recipient of the ManasChatterji Award for Excellence in Research in Regional Science, given by the Regional Science Association - Indian Section. He has published two books and thirty seven research papers in reputed journals. His papers have been published in such journals as Transport Policy, International Journal of Transport Economics, European Journal of Transport and Infrastructure Research, Journal of Public Transportation, European Transport TrasportiEuropei, Transportation Research Record, Urban Transport Journal, Telecommunications Policy, IEEE Transactions on Power Systems, International Journal of Emerging Electric Power Systems, Electric Power Systems Research, Applied Soft Computing, Economic and Political Weekly, Studies in Business and Economics, and Productivity. His Scholar.Google h-index is 11 and i-20 index is 7. His research interests are in the areas of Transport Economics, Infrastructure, Industrial Organization and Regulation, and Pricing Policy. His teaching interests are in the areas of Industrial Economics, Managerial Economics, Macroeconomic Environment, and Economics of Regulation. Dr. Satyabhusan Dash is currently working as an Professor, Marketing area and Chairperson, Centre for Marketing in Emerging Economies at Indian Institute of Management; Lucknow. 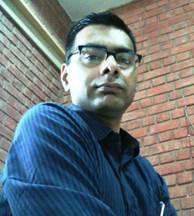 He is a Ph.D. from Vinod Gupta School of Management, IIT, Kharagpur. He has been awarded Canadian Studies Doctoral Research Fellowship for Doctoral Research in Management in 2001. He has co-authored one book and twenty two research papers in reputed referred International and National journals. His Scholar Google h-index is 09 and i-10 index is 09. 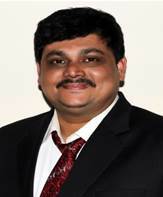 His research has appeared or to be appeared in leading International journals including International Journal of Market Research, Academy of Marketing Science Review, Journal of International Consumer Marketing, Marketing Intelligence and Planning, Journal of Product and Brand Management and International journal of Bank Marketing. He has coauthor Indian subcontinent adaptation of Marketing Research text book titled “Marketing Research: An applied Orientation” with Prof.Naresh.K.Malhotra. His co-authored studies have won four best paper awards at the 2014 and 2012 annual conference of emerging market conference board, 2013 market research society of India annual conference and at the5th International Conference on E-governance at Hyderabad. He is recipient of best research paper award from Emerald publications for the year 2012. His current areas of research interest have been on the topics of Online marketing, B2B Marketing, product and brand management, health care marketing. Dr. S Venkat is an Associate Professor in Operations Management at IIM Lucknow. He has around 23 years of teaching and research experience. He was a Research fellow at Singapore MIT Alliance (SMA) Program, Nanyang Business School Singapore, worked at Honeywell Singapore as a SCM Lead Engineer. He was a Fulbright Scholar at W P Carey School of Business, Arizona State University, USA. He has undergone training on Participant Centered Learning at Harvard Business School (HBS) USA. He worked at IIT Madras and IIM Indore before joining IIM Lucknow. He received Dewang Mehta Award for Best Teacher in Operations Management He was the coordinator of Center for Manufacturing Excellence at IIM Indore during January 2007 and July 2012. He published more than seventy papers in various peer reviewed international and national journals and conferences. He published in Operational Research Society (JORS), International Journal of Production Research (IJPR), International Journal of Production Economics (IJPE), Production Planning and Control (PPC) etc and Conferences like INFORMS, POMS, DSI, ICPR, GT/CMS, ICOQM, SOM, ORSI etc. He authored three book chapters and a customized book on Production and Operations Management. He is editorial member in AIMS International Journal of Management, International Journal of Advanced Operations Management etc. He is associated with journals like IIE Transactions on healthcare, IJPR, IJPE, OPSEARCH, AIMS International Journal, IJAMT, Vikalpa etc. His teaching, research and consulting interest includes Supply Chain Management, Operations Management, Service Operations Management, Supply Chain Modelling, Sustainable Supply Chain Management, Medical Device Supply Chains, Healthcare Management, Manufacturing Systems Modelling, Lean Manufacturing, Sustainability of SMEs and SME Cluster Development, e-procurement etc. Ms. Susmita Misra consults on Marketing/Retail assignments. She also teaches Retail Management and Market Research in some of the leading B Schools in the country. She has over two decades of experience with India’s leading Retail and Market Research Organizations. She has worked as Head – Consumer Insights & Retail Analytics, Bharti Walmart India. Prior to that she has served as the Vice President, Marketing Services at Subhiksha and as Associate Vice President at IMRB International. Strong Insights on both Retail processes as well Consumer Behavior gained by Strategizing Marketing & Merchandising initiatives as well as implementing the same on ground. In her career spanning over 20 years she has worked extensively with consumer and research types. Thus has the ability to both conduct as well as draw out relevant & actionable learning’s from Catchment Researches, Brand Tracks, Communication Development Research, Category Understanding, Product / Concept and Pricing Researches, In–shop observations, Mystery Shopping exercises etc. while at Walmart she was instrumental in setting up the brand tracker and then driving the management of price perception and net promoter score basis the same. 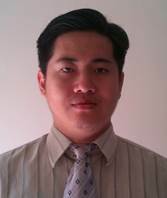 Dr Tony Wijaya is Lecturer & Researcher of Yogyakarta State University, FE Building Karangmalang Yogyakarta- Indonesia. He has wide experience to teach Consumer behavior (marketing research) and Research methods for undergraduate and postgraduate students.He is also reviewer of Journal of International Food & Agribusiness Marketing, Saint Joseph's University)-International,Journal of Business And Management-CCSE Canada, Journal of Business And Economic Management – International and JurnalSiasatBisnis (Islamic university of Indonesia)-National Accredited. 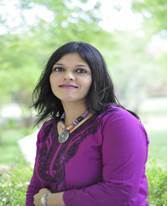 Dr. Varsha Jain is Assistant Professor in Integrated Marketing Communication and Chair, Dissertation at the MICA (India). She has authored 55 publications in international, national and trade journals, book chapters and case study collections, including the Journal of Product and Brand Management, International Journal of Mobile Marketing, Journal of Consumer Marketing, Young Consumers, Asia-Pacific Journal of Business Administration, Middle East Media Educator, Marketing Insights and Marketing News and Emerald Emerging Markets Case Studies Collection. She won gold medals as “Young Outstanding Management Researcher – 2013” and “Outstanding Woman Management Researcher–2012” by AIMS (The Association of Indian Management Scholars) International. She was visiting scholar at The Medill School, Northwestern University and a visiting professor at the Indian Institute of Management (IIM), Indore in 2013. Her research areas are mobile and digital marketing, luxury branding and digital natives. Currently, she is also writing a book on Indian Consumer Behavior in an Interactive Market Place with Prof. Don Schultz (Northwestern University, USA). Dr Vinod Mishra is a senior lecturer in the Department of Economics at Monash Univeristy, Australia. Vinod is an applied economist. He conducts empirical research in labour economics, development economics, financial economics, sports economics and on issues related to law and economics. Vinod's PhD dissertation was based on Indian stock market and he has a keen interest on studying the emerging Asian economies, with special focus on Indian and China. 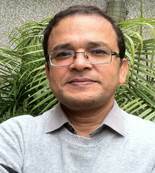 He has published in some of the leading economics and interdisciplinary journals such as Law & Society Review, Journal of Environmental Planning and Management, Economic Modelling, Journal of Asian Economics, Applied Economics, Ecological Economics, Social Indicators Research and Resource and Energy Economics. Vinod's current research interests include applied industrial organisation, labour economics and financial markets in emerging economies. Dr. Meghna Rishi has over 10 years of experience in research, training and consulting. Her research interests are in the areas of hospitality marketing, sustainability marketing, and communication management and consumer behaviour (in the hospitality industry). She holds a doctoral degree in the area of internet marketing from the University of Rajasthan and a professional certification in teaching in higher education under the UK-India Education and Research Initiative (UKERI Grant) from Oxford Brookes University, UK She is a faculty in the area of marketing and was previously Senior Assistant Professor and Lead -Corporate Interface, at Lal Bahadur Shastri Institute of Management, Delhi. She has served as a Consultant to the Government of India, Department of Public Enterprises (Ministry of Heavy Industries) and has helped in External Evaluation of the Memorandum of Understanding for the Central Public Sector Enterprises in India. She has also been involved with the sales and marketing functions at Entertainment Network India Limited (Radio Mirchi) and Shark Design Studio. Her research has been published or forthcoming in leading international and national journals including Journal of Consumer Marketing, Worldwide Hospitality and Tourism Themes, Journal of Services Research, Emerald Emerging Markets Case Study Collection and Journal of Management Research. Her research studies have won best paper awards at the International conference on Services Management (Macao, China), annual conference of emerging market conference board (IIM Lucknow, Noida) 2014, the best portfolio award for teaching in higher education (UK-India Education and Research Initiative), Emerald Publishing Group Award for best research based case study- 2011 and Emerging HRD Thinkers Award in 2010. She has guest edited issues for WorldWide Hospitality and Tourism Themes, has been on the editorial board & review board of journals -Communication Today, Journal of Services Research and Technology in Society. 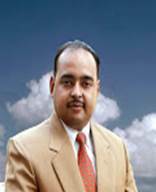 Mr. Anshuman Mishra has over 10 years of experience in giant corporates. His interests are in research, education and consulting. Currently he is the Co-founder at edu-tech startup Mercadeo Education where he forged in conceptualizing and launched a pioneering marketing certification program in India. The content is created with detailed insights from panel of industry experts (from Google to Asian Paints) as well as faculty from leading colleges like IIML, IIMA, FMS. As the co-founder and current CEO, his responsibilities include service portfolio creation, collating and filtering feedback on service delivery and negotiations with a smorgasbord including lawyers, CAs and investors. He was a key personnel of KPMG Advisory- India and handled key projects like India entry strategies for UK’s premium menswear apparel brand, Dutch dairy products manufacturer Store location assessment modeling for India’s largest QSR chains designed the customer interaction processes for largest footwear and jewellery implementing NPD and SFE processes for bakery, biscuits manufacturers. He also has contributed in strategic consulting business plan and financial model development in Deloitte & Touche, TATA Logistics and IMC-SRG Consulting Pvt Ltd.
Having studied from the premiere Institutes of India Anshuman has always something good to add in whatever he works. He has done B.Tech from IIT, Karaghpur, MBA from IIM Lucknow and Diploma, in from Economics London School of Economics and Political Science. He has also earned various accolades and awards of National repute in a short span of time. Dr. Dr.Gopal Das is a Faculty in Marketing Area at IIM Rohtak. He earned his Ph.D from IIT Kharagpur. Dr. Das has more than eight years of teaching and/or research experience in Marketing and Data analytics at several leading institutes like IIT Kharagpur, IIM Ranchi, and IIM Calcutta. He has also been associated with IIM Kozhikode as an adjunct faculty. Dr. Das has also conducted several management development programmes on Research Methodology, Marketing Research, and Data Analytics using statistical packages like SPSS, AMOS, SAS, MINITAB, and R. He has been awarded and appreciated for his contributions to management study. He has won gold medal for the best ‘Outstanding Doctoral Management Student Awards (2012)’ organized by AIMS International and IIM Bangalore. He has also been awarded Prof. Dipak Jain award of IIM Bangalore. Dr. Das has qualified UGC-NET (Management) in 2009. Dr. Das has been featured in the top 5% productive management researchers in India list (Source: Omega Journal, USA). He has been recognized as a leading researcher of IIM Rohtak for two consecutive years 2014-2015 and 2015-2016 respectively. 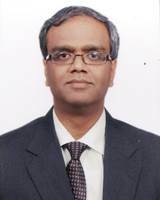 Dr. Das has published research papers in several leading International journals such as International Journal of Research in Marketing (IJRM); Journal of Business Research; Journal of Services Marketing; International Journal of Market Research; Journal of Strategic Marketing; Journal of Retailing and Customer Services; Marketing Intelligence & Planning; and Journal of Business and Industrial Marketing. Dr. Das has also contributed in reputed international conferences organized by AMA, INFORMS, ANZMAC among others. He is on the editorial/review board of a number of leading International journals published by Emerald, Routledge – Taylor & Francis Group, Inderscience, Elsevier, ScienceDirect, Sage etc. A few Ph.D/FPM students is working under his supervision.